Panaroma view from the lighthouse on the mainland side of Lagunas de Chacahua. Chacahua Lagoons National Park (Parque Nacional Lagunas De Chacahua) is an isolated eco-tourist gem situated 60km west of Puerto Escondido on the stunning Costa Chica of Oaxaca State, Mexico. 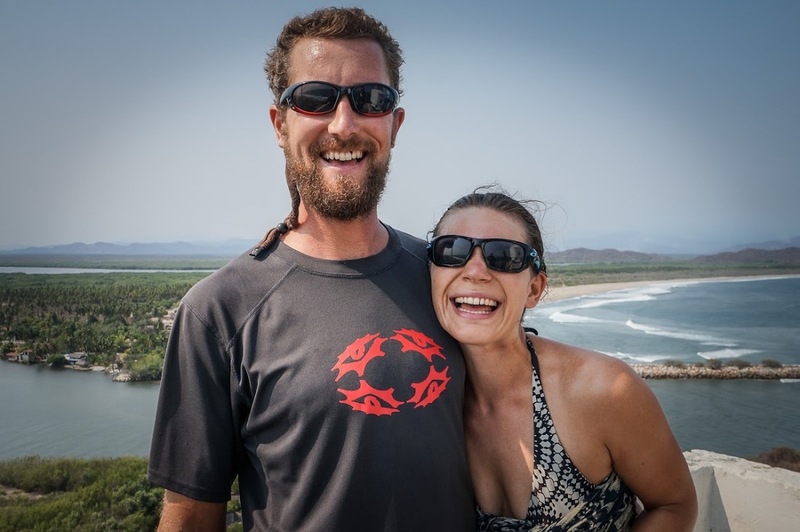 Most tourists arrive in Chacahua from Puerto Escondido by travelling to Zapotalito and then catching boat for about $100-150 pesos person to cross the entire lagoon. 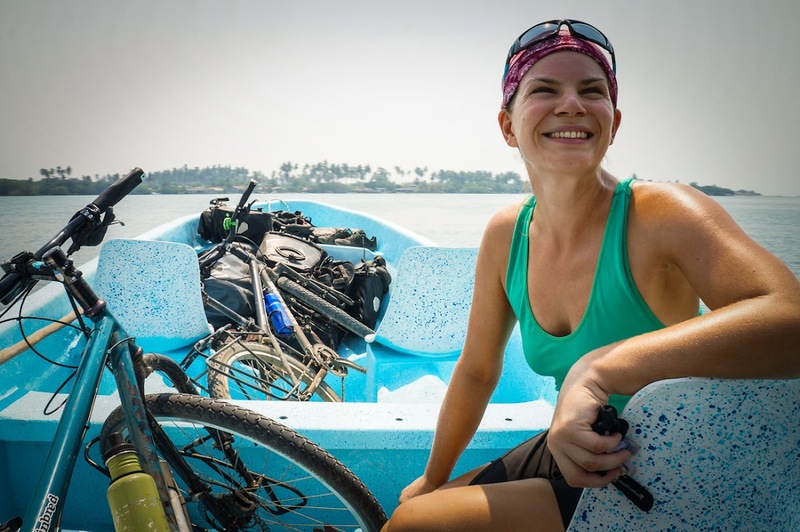 We were cycling southeast from Acapulco in the opposite direction, so instead of taking the boat from Zapotalito, we cycled along a 29km dirt road out of a small town called San José del Progreso and took a much shorter boat ride. Our 5 minute boat ride cost a mere $30 pesos (£1.50) for the two of us! Eric (the captain of our little boat) led us from the mainland Chacahua across the lagoon to the small island community, boasting unadulterated coastline as far as the eye can see. Aside from the small cluster of beach restaurants on west side of the island, the rest of the island remains largely untouched with about 10 miles of beautiful beach. 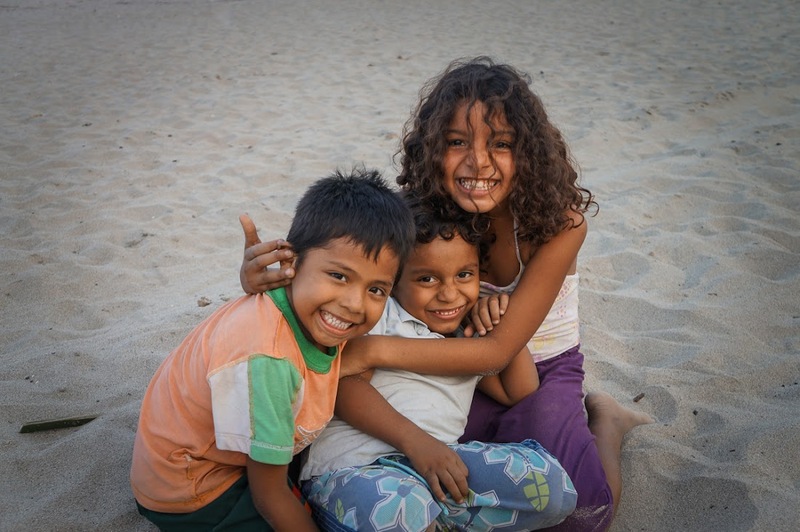 We pitched our tent at Eric’s family restaurant La Jungla that sits right on the beach. 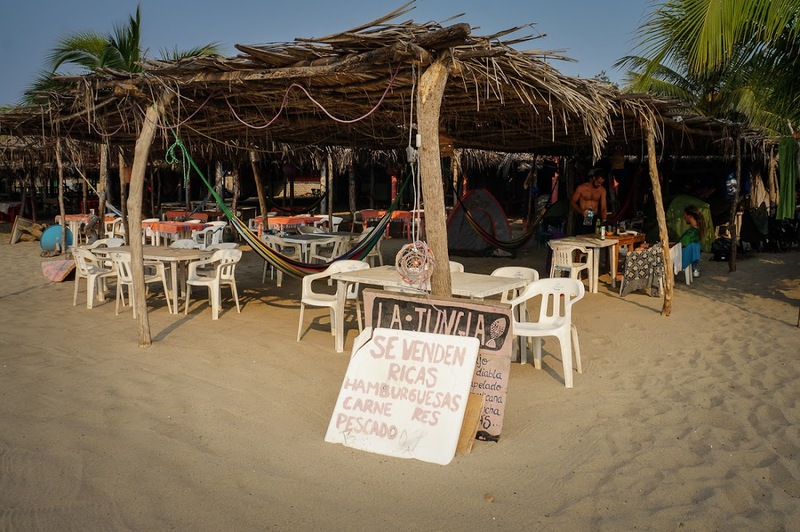 Most of the beach front establishments on Chacahua allow you to camp or sleep in hammocks for free with the understanding that you will spend some money on food and drinks at their restaurant. Luckily, we heard an echo of praise from the many surfers saying it is one of the best on the island for quality, quantity and atmosphere, the family were so warm and full of smiles. La Jungla did not disappoint with their large portions and reasonable prices. We loved Ana’s fresh pescadillas! Many surfers we met shared the same story of planning to be on the island a few days but then getting sucked into the flow of perfect daily surfing, leading to a longer stay for weeks or months on end. La Jungla, the beachfront restaurant/ camping ground and generally an awesome hangout for travellers and surfers alike. Ask for Eric Leonferick at la loncha. Our new friend Soy, playing with her two buddies. Such a sweet girl, she also busked the tables at La Jungla to help out. Her favourite phrase was ‘todos las manos arriba!’. She would then shoot us with a sand-filled shampoo bottle! Chacahua National Park is massive! It would take weeks to really experience it in its entirety, so we cherry picked the most alluring (of course, this included laying around in hammocks, eating fresh fish and swimming in the perfect waves). 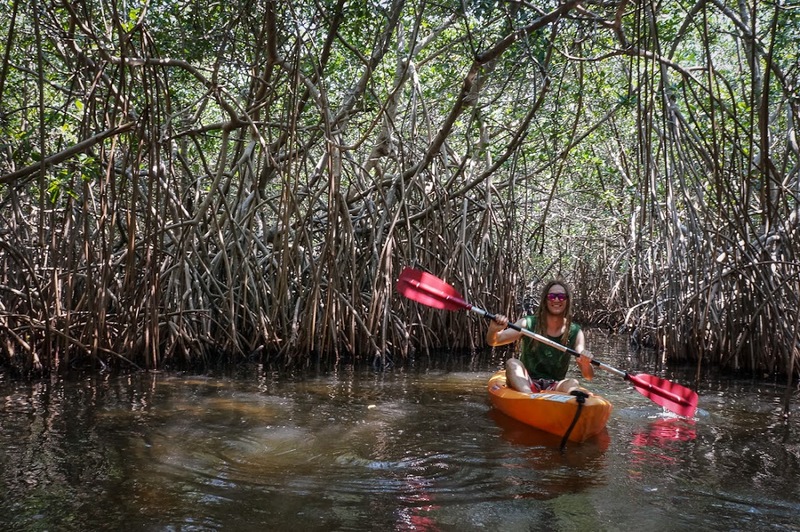 Kayaking on Chacahua is so much fun; Lars and I had a double kayak and our island buddies AJ and Boaz went solo for our tour through the mangroves. We were led by our guide Enrique. You can find his house on the map at the top of this page. Look for the marker called ‘Chacahua Tours’. 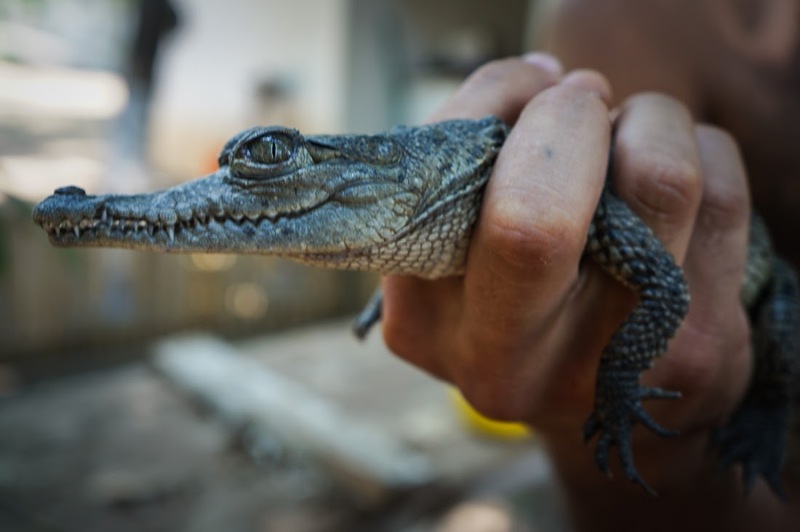 Once Lars and I harmonised our rowing rhythm, we kayaked to the other side of the lagoon to visit the very first crocodile sanctuary founded in Mexico 40 years ago were they look after more than 200 crocodiles. Our very informative guide talked us through the different species of crocs. Check out the video below. Just before we left the sanctuary, Lars realised that his shirt had fallen into a tank of toddler sized crocs. I shot this video of the rescue with mild trepidation. For a perfect end to a perfect day, we hiked up to the lighthouse to get a birds-eye view of the island. It was utterly breathtaking and well worth the mosquito attack we endured on the way up. Sharing a laugh, elated by the view from the lighthouse. Unfortunately, Boaz lost his Rayban sunglasses in the lagoon on the way back. A fisherman tried to help find them by throwing in a net but all he caught was fish! 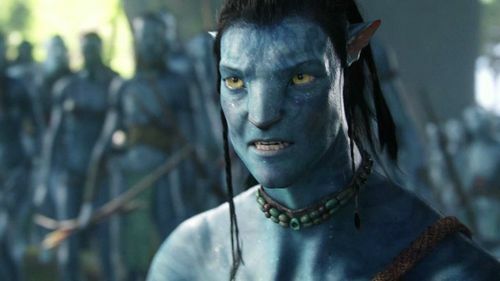 ‘Become Avatar’ is how the travellers along the beach described this midnight tour. We knocked on Enrique’s door at 11.pm. interrupting the boxing match he was watching on the television. In bare feet, the stocky fisherman led us into darkness along a little path to the water. AJ, Lars and I stepped into the boat where we sat silent soaking in the calm of the night. The water rippled with shoals of fish while Enrique made therapeutic splashes paddling his oar through what looked like a lagoon of black ink. The conditions were perfect, the moon was masked with the clouds high in the midnight sky and the lights of the village were well and truly behind us. The splashing of the oar started to glow each time it hit the water, we threw our hands in and splashed around like children. The plankton were undergoing a chemical reaction and everything that moved in the water glowed a fluorescent blue and yellow. Enrique stopped the boat so we could have a swim. AJ jumped in first; at 6′ 4″ with a head of long dreadlocks he really did look like an Avatar swimming in the calm waters glowing fluorescent with each move he made. Unfortunately, the pitch black conditions made photography impossible. I was nervous at first because many crocodiles live in the lagoon but we were told they don’t like the taste of humans. So I edged in, safe in the knowledge that I would see a glow in the dark croc swim through the lagoon before it snapped me up for dinner. Chacahua really is a hidden jewel of Oaxaca State, a special place that we hope stays exactly the way it is. Jenny is a singer/songwriter who left London to cycle across Latin America with her partner Lars in search of music, culture and food. 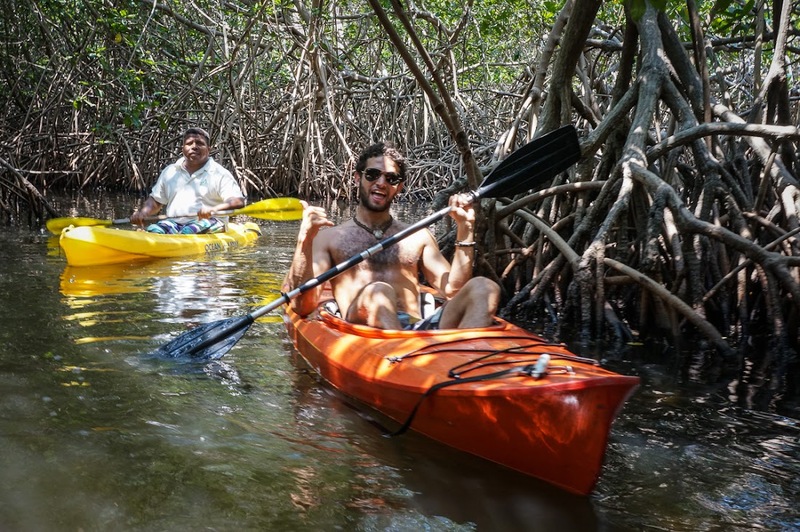 6 Responses to "Chacahua: A Hidden Jewel On Oaxaca Coast"
Kayaking through the Mangroves is just amazing did it a few years ago and really enjoy it. I just love Mexico it gt so much to see and enjoy. 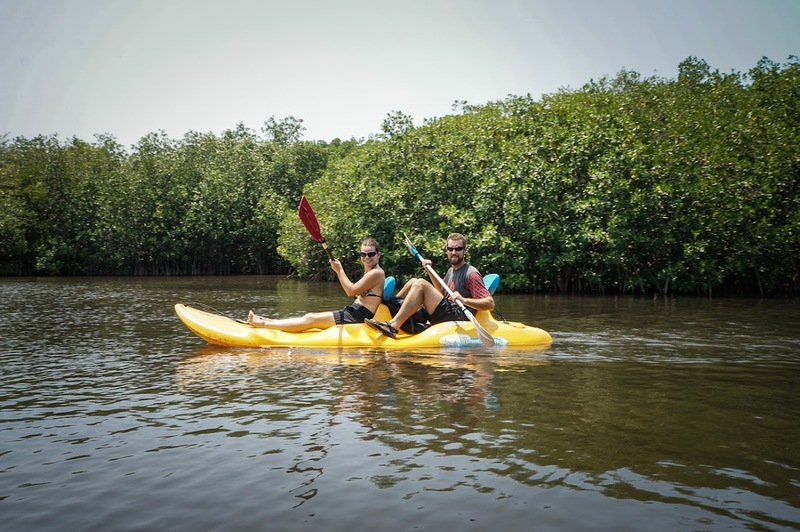 Always wanted to kayak through mangroves. Kind of freaked out, though, by what creatures I might find kayaking through them, haha. Was this something that you were thinking about too? How do I get from Zapotalito to the Lighthouse?? Thank you for all the info here. In order to reach the lighthouse from Zapotalito you need to take a boat to the island and then travel West on the road by bike or truck towards the main Chacahua beach. Once you reach the main beach just ask one of the guides how to reach it. You need to take another boat across the gap back to mainland and then hike through the woods!